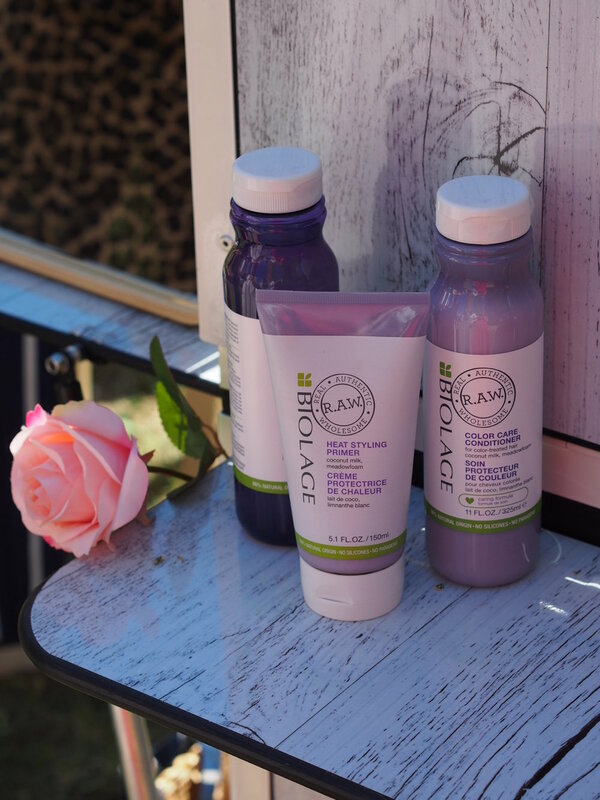 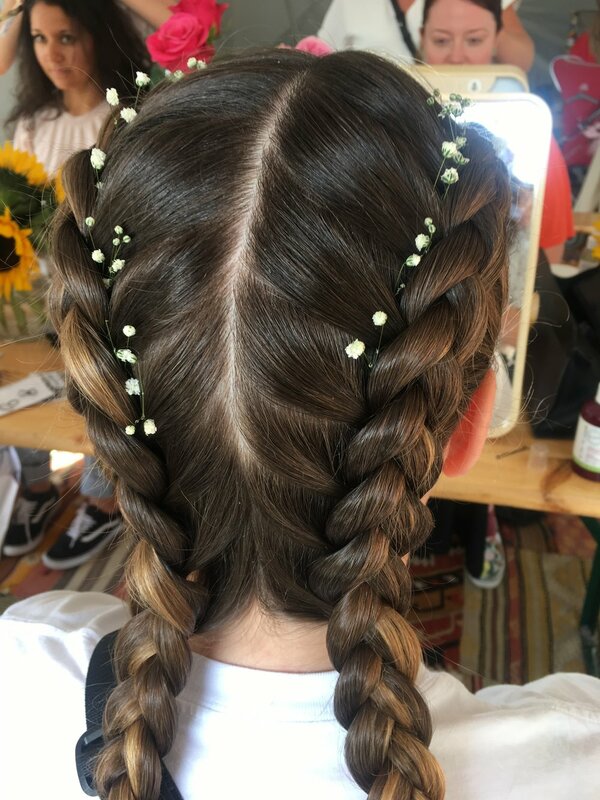 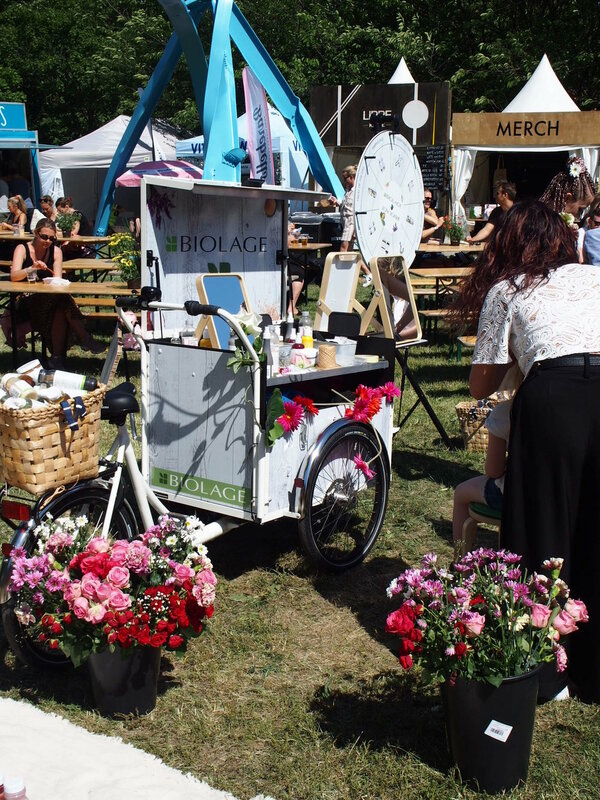 Last weekend, three of our stylists went down to Piknik i Parken to infuse a little festival vibe into the weekend by working in collaboration with Matrix Biolage RAW Hair Care at a pop-up hair styling stand. 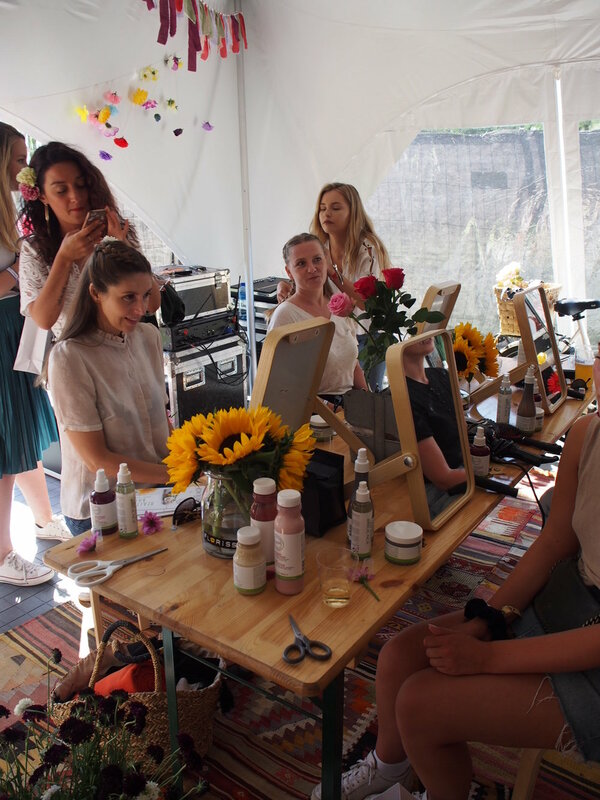 The natural eco range of products and beautiful relaxed boho styling went hand in hand and was a popular destination of festival goers last weekend. 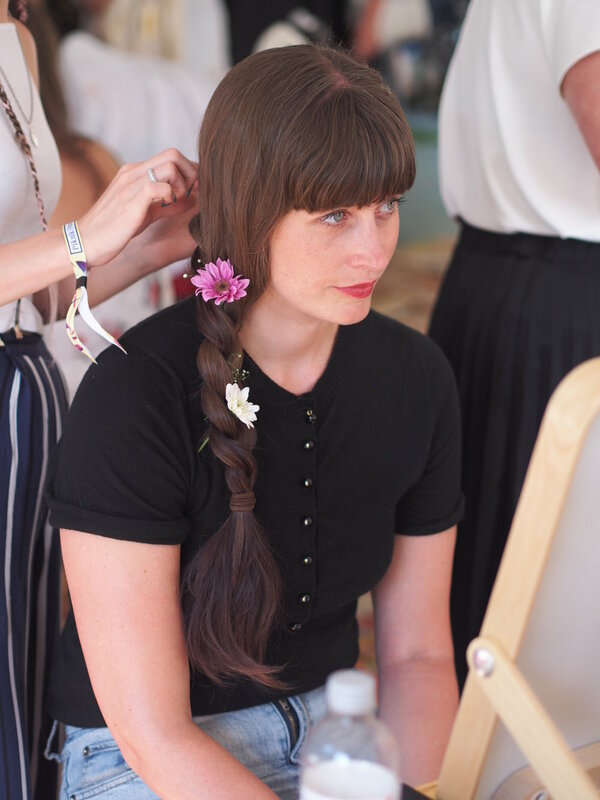 Beautiful braids were the popular style of the weekend decorated with delicate feminine flowers provided by Floriss. 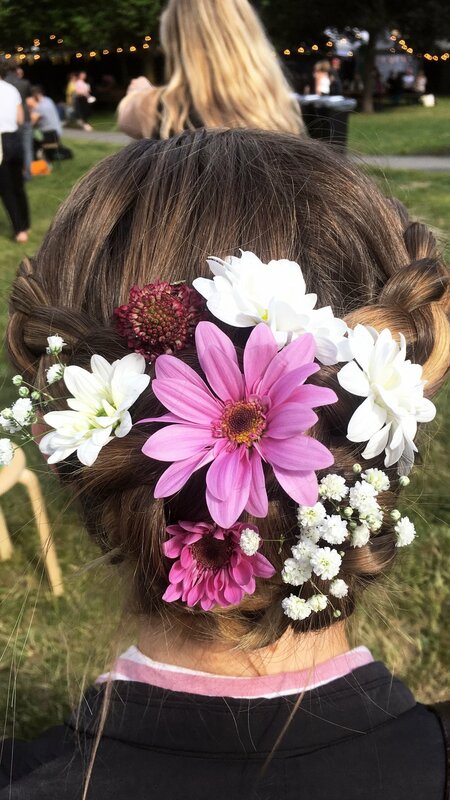 The looks created by Malin, Erika & Nora are perfect hairstyles for summer events, like weddings, parties or festivals. 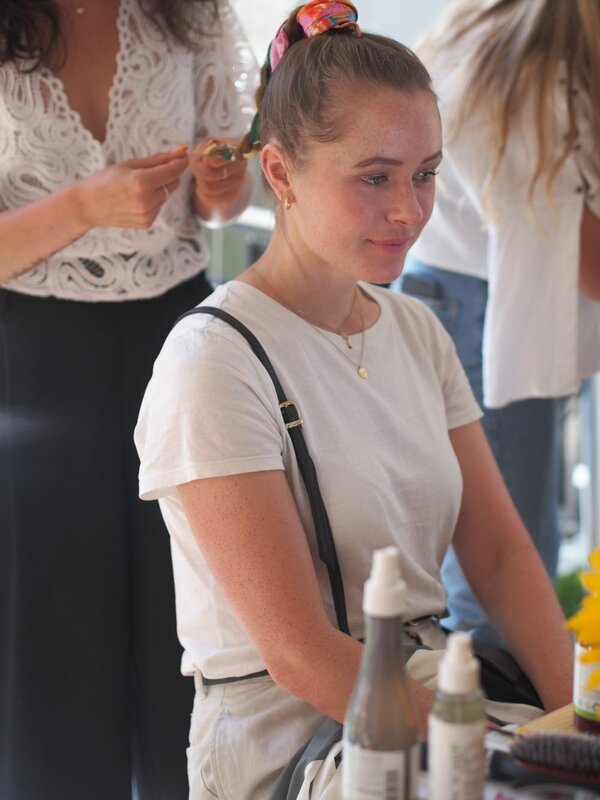 If you fancy having some extra styling next time you visit us at Escape, give us a call and we can can set you up with an appointment with one of our stylists or visit us at Vikaterassen.